How do I view my library borrowing record? 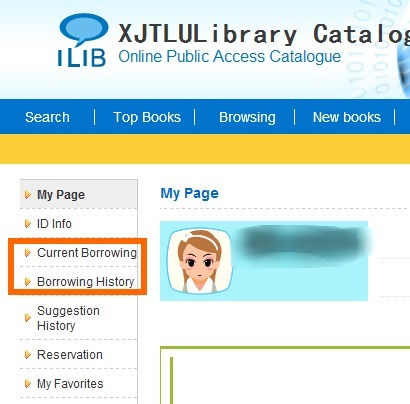 You can find the borrowing record by logging into 'My Lib' in Library Catalogue (OPAC) using your university account. You can find the borrowing record and history under the 'Current Borrowing' section and 'Borrowing History' section.